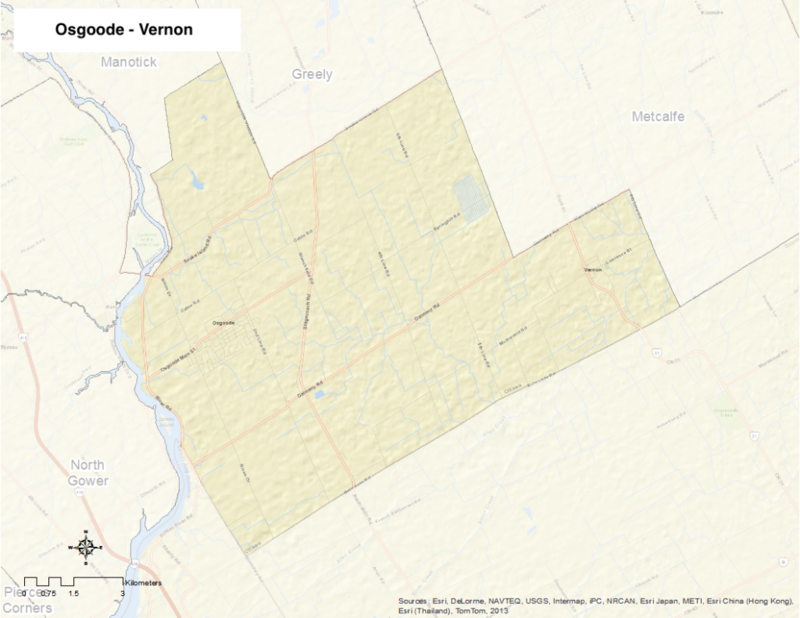 The neighbourhood of Osgoode-Vernon includes the Village of Osgoode and the communities of Vernon, Sabourins Crossing, Reids Mills, and Dalmeny. Originally called Osgoode Station, the name of what is now an official Village within the amalgamated City of Ottawa was shortened to Osgoode in 1962. The Osgoode Village Story: A Hometown History 1801-2000 is available from the Osgoode Village Community Association. See also the Vernon Community Association.